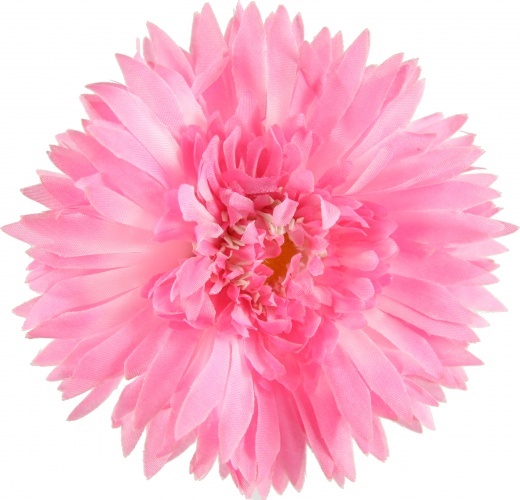 This is a large hot pink Silk Daisy. The flower ends have a spiky look and it is attached to a lined alligator clip. This daisy looks great alone, but even better when put on any color of bows, headbands and beanies that are also available. This is a big flower with brilliant pink colors, every girl will love.